Get top-notch results at your project. No matter what size your project is. Wall and ceiling repairs concluded fast. Neat and trustworthy staff. Get your cost quote. Qualified yet economical. You will be fully satisfied with the work. Interested in having someone put up some new walls or ceiling at your place? Or maybe there is a hole or other damage in a wall or ceiling you want to get taken care of. 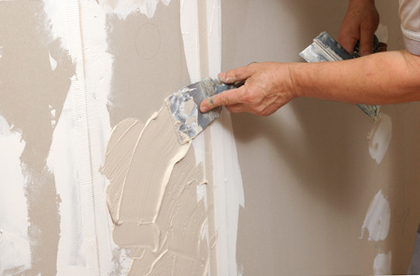 This company chiefly puts up and repairs sheetrock interior walls and ceilings. Most of their jobs are makeovers and repairs; the rest are new construction or big remodels. Lots of the calls are for repairs. A lot of these assignments, such as exchanging water damaged sheetrock, are fairly extensive; other jobs may involve just patching a hole or two. They are excited to work with homeowners, landlords, business owners and contractors. 2. Putting up the sheets on the ceiling or walls. 3. Cleanup and removing project trash and unneeded material. 4. Taping the seams and applying joint compound to each seam and screw area. 5. Sanding, finishing and applying texture. You can get started with your painting when these jobs are done. While, more often than not, they take care of the entire work project, some property owners only want them to do a portion of the process. As an example, if you would prefer to do all the work, but you don’t have any way of getting the big drywall sheets to your place, you could have them deliver them to you. Sometimes a property manager already has their sheetrock up on the wall, they are looking for somebody to finish the rest of the project. So sometimes they call. They can also install specific moisture resistant boards in bathrooms or other wet areas. Or they can attach backer board products on walls where you will be having heavy tile attached later. Whatever stage you’re at in the installation process, they can take care of it. A hole can get put into sheetrock during a Saturday night party, a Sunday afternoon football game, or by teenagers at just about anytime. Lots of homeowners initially try to fix small holes or dents by themselves. Simple holes or dents usually are covered over with a patch, coated with joint compound, made smooth and then painted. Don’t be embarrassed or surprised if your first effort at a patch doesn’t end up amazing. It usually takes practice to make a patch appear great. While they support home owners to try small wall repairs, some experts believe bigger or obvious repairs ought to be addressed by a professional repair person. One of the tricky parts of this procedure can be to model the texture of the new materials so that it seems like the original material. Fixing or patching one or more individual holes or seam splits. Mending a few bad sheets so some areas or rooms can be repainted. Taking away and replacing sheets of drywall ruined by moisture. Finishing the elimination and replacement of a big area. Sometimes because of a water disaster or other event. They can correct a couple of small problems, they could carry out significant renovations, or any project in the middle of the two. Totally unfinished – just taped, suited for unfinished work or storage rooms or garage areas. Smooth finish – no added texture, in position for paint or wallpaper. Basic texture – will add some extra depth. Texture matching – your new materials match your old ones. A large number of homes were built with that spray-on popcorn ceiling effect. They can quickly take off and replace that ceiling covering with a newer-looking surface. This company concentrates on property interior jobs including ceiling and wall maintenance and restorations. Their end goal is to have their clients be pleased with the results, the price and the entire process. Your work crew is furnished with the latest tools to complete their work quickly and have it look great too. The products they install are all from the top rated manufacturers. Their staff is dependable, neat and respectful of your property. They strive to guard your belongings from work dust and injury. After the project is done, they get rid of the leftover material and any garbage they made. They have experience doing all sorts of projects. 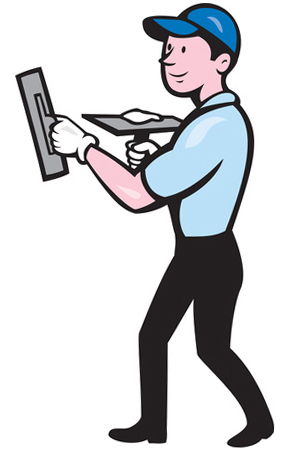 They work in individual homes, apartments and commercial buildings, and doing repairs or restorations. They can work directly with homeowners, developers, investors and commercial property managers. They are happy to write up a quote for your project. The final cost of your project depends upon multiple factors, but the two greatest factors are the cost of materials and time needed to get the job finished. They should be able to provide you a quote on the phone once they find out a bit about your project. If you don’t have a different option for the painting job, they will take on the painting portion as well. If you plan on working with a painter, that’s okay with them too. What Parts of Town Do They Work In? They can visit many properties in Ventura County. A lot of work goes on in downtown Oxnard, Colonia, Port Hueneme and the 93030, 93032, 93034, 93036, 93031, 93033 or 93035 zip code areas. Work gets done in many of the nearby communities, such as Camarillo, Moorpark, Ventura, Thousand Oaks, Agoura Hills, Newbury Park, Santa Paula and Simi Valley. Do You Work in My Neighborhood? A lot of work goes on in downtown Oxnard, Colonia, Port Hueneme plus the 93030, 93032, 93034, 93036, 93031, 93033 & 93035 zips.